JOIN THE QUEST TO DESTROY THE ONE RING! The Dark Lord has arisen. A Fellowship is formed. Now the future of Middle Earth lies in your hands. 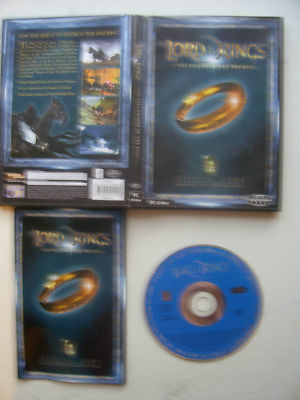 Play as Frodo, Gandaulf, and Aragorn as you overcome perilous obstacles and battle the forces of evil. In your journey from the Shire to the River Anduin, you will explore beautifully detailed environments and meet many characters brought to life as described in the book. Prepare to play the greatest story ever written.